Now that spring has sprung, Fulbright Visiting Scholars are able to enjoy wonderful weather and beautiful blooms! 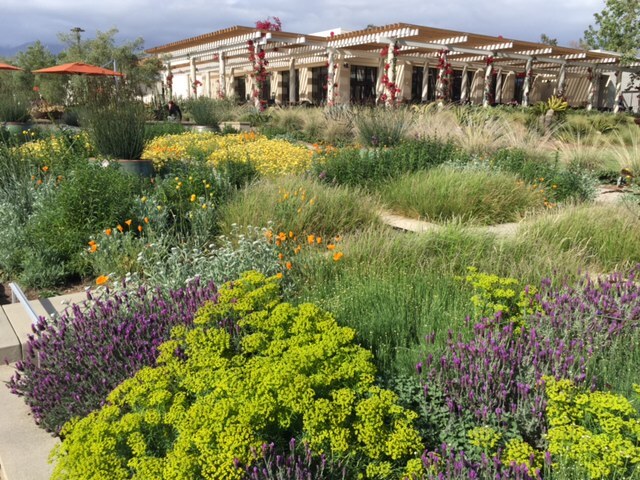 A group of Scholars in the Los Angeles area recently visited The Huntington Library and Gardens where they toured the drought-resistant spring planters on a docent-led tour. 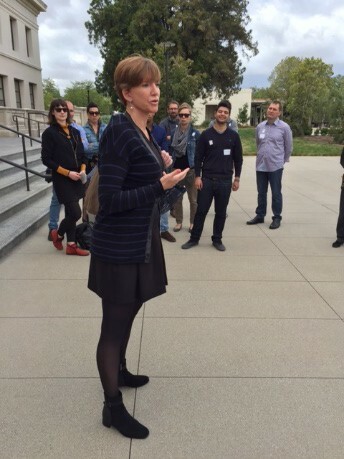 The president of Huntington Library, Laura Skandera Trombley, greeted the group and gave them an overview of the Library. 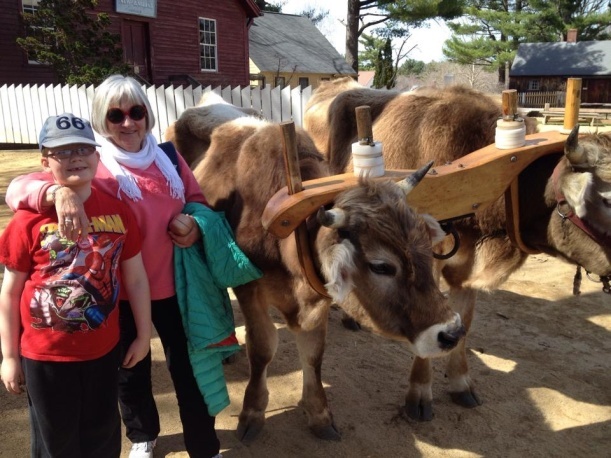 Appropriately, Trombley also serves as Chair of the J. William Fulbright Foreign Scholarship Board, and Fulbright holds a special place in her heart. Scholars explored the library to find original copies of the Gutenberg Bible, works by Geoffrey Chaucer and letters by Abraham Lincoln. 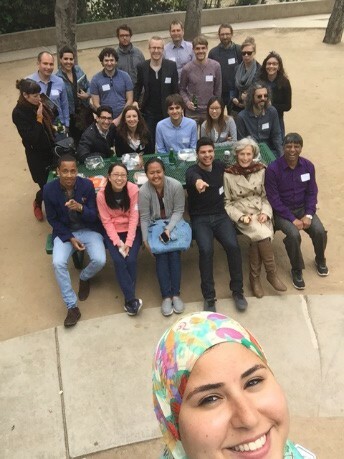 Scholars also had the opportunity to visit Caltech, where they heard from top astrophysicists on infrared photography in outer space and the possibility of life in other universes. It was a full day of exploration and enrichment! 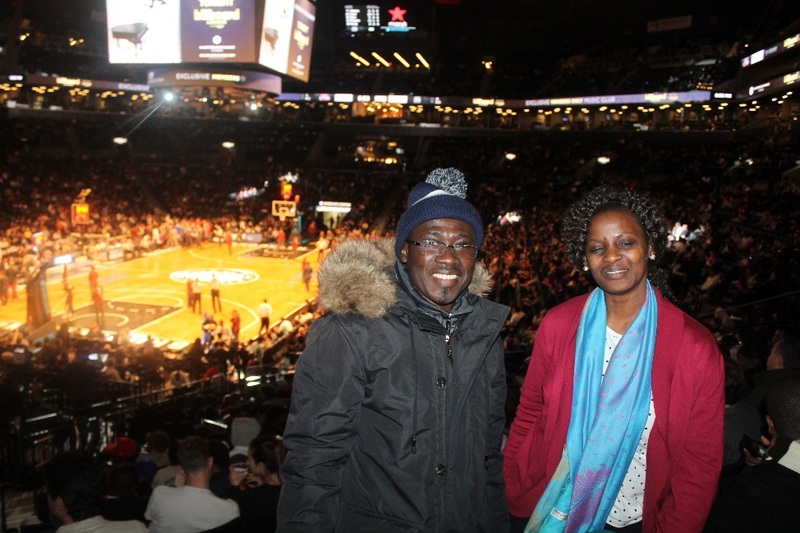 This February, Scholars were treated to a special event at Howard University in Washington D.C, courtesy of the Ralph Bunche International Affairs Center. The event highlighted the contribution of Howard University to the community, and the overall importance of historically black colleges and universities in the United States. 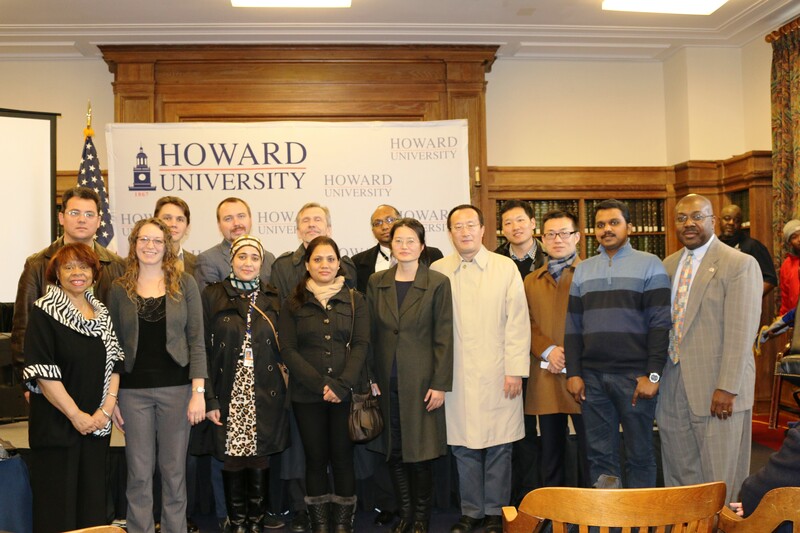 Scholars from China, India, Russia, Tunisia, Ukraine, and Uzbekistan were exhilarated to be a part of this event. The program for the day featured presentations by Dr. Gary Harris, Associate Provost Research and Graduate Studies, Dr. Edna Medford, History Professor, Tonija Navas, from the Ralph Bunche International Affairs Center, and Dr. Keri Miller, the Fulbright representative at Howard. Presentations touched on contributions in science, urban development, and the history of Howard University and its hospital, Freedman’s Hospital. 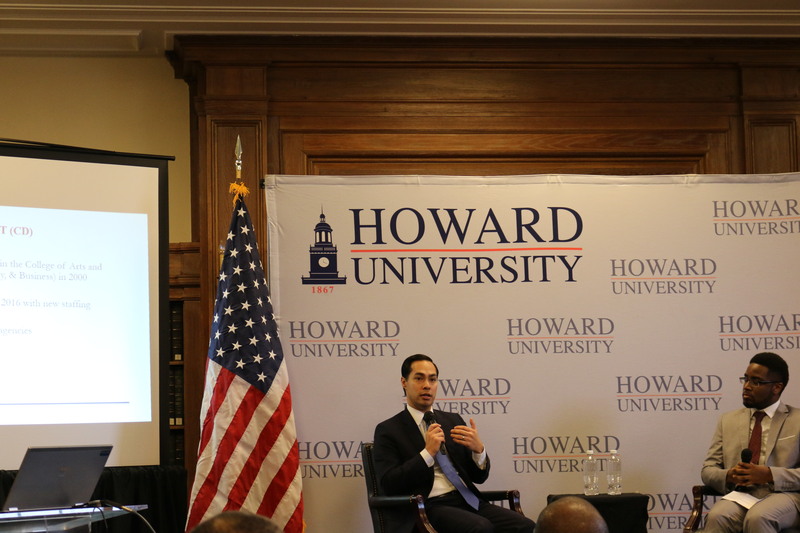 The highlight of the program was a special event on Howard’s involvement in the urban development of its community; a discussion with Howard students and Julian Castro, the U.S Secretary of Housing and Urban Development. Secretary of U.S Housing and Urban Development, Julian Castro speaking to the audience about urban development. 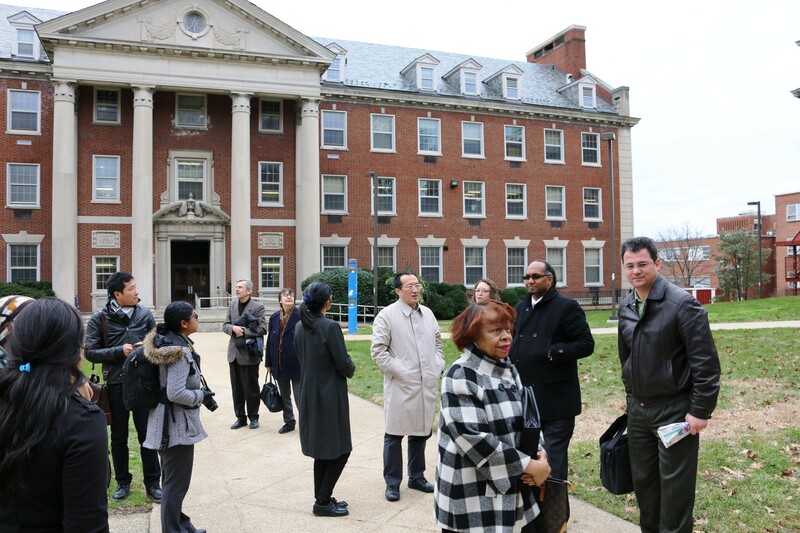 After the presentations, the group went on a walking tour around campus to enjoy the beautiful structures and history of Howard University. 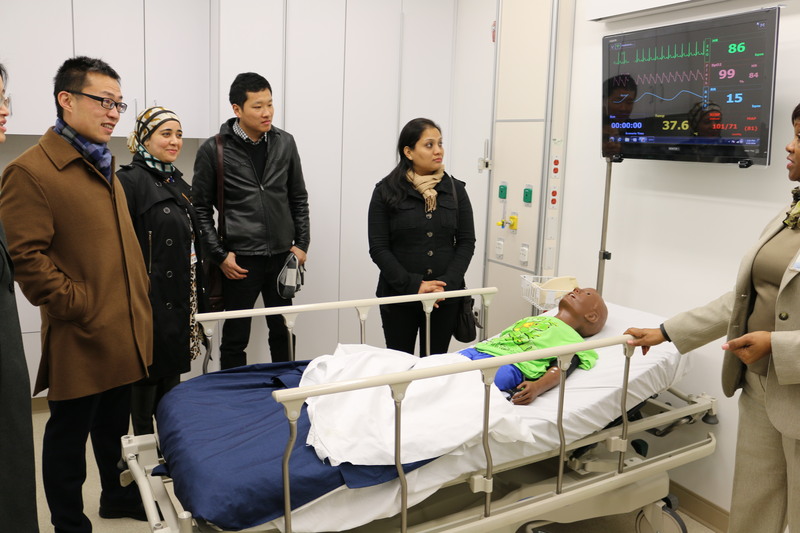 The Scholars were invited to a special viewing of the Howard simulation labs in the medical school and the brand new interdisciplinary research center. 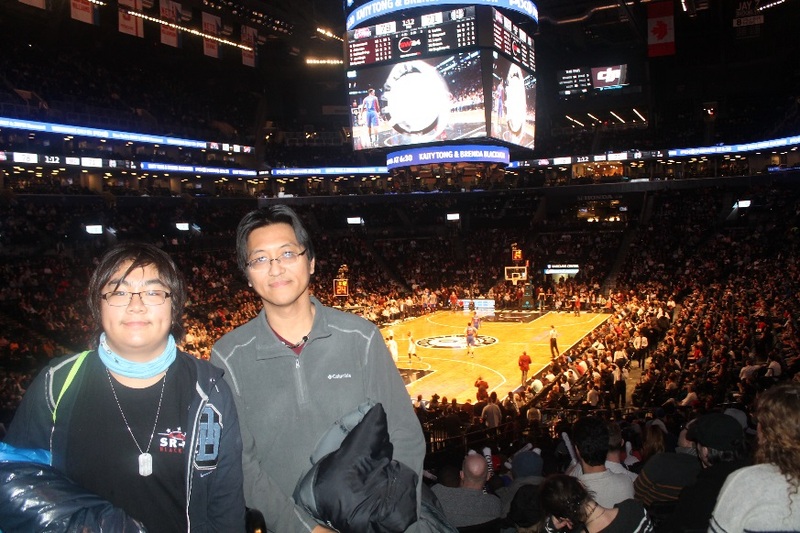 They were amazed at the advancement in technology and the hospitality of the staff. In the end, the group left with new friends, a new place to call home, and a new found love and respect for historically black colleges and universities. 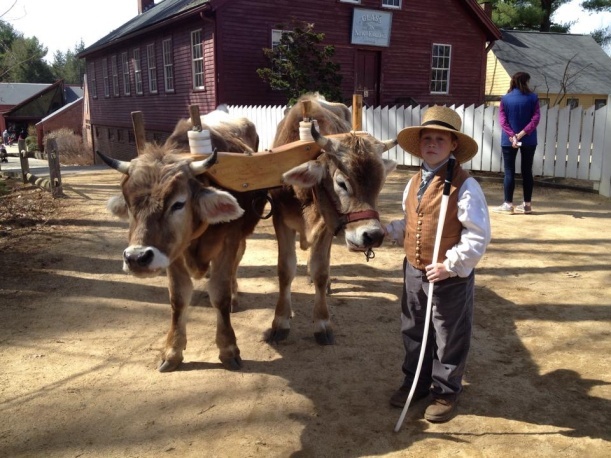 Some scholars strike a pose for the camera one last time before leaving. 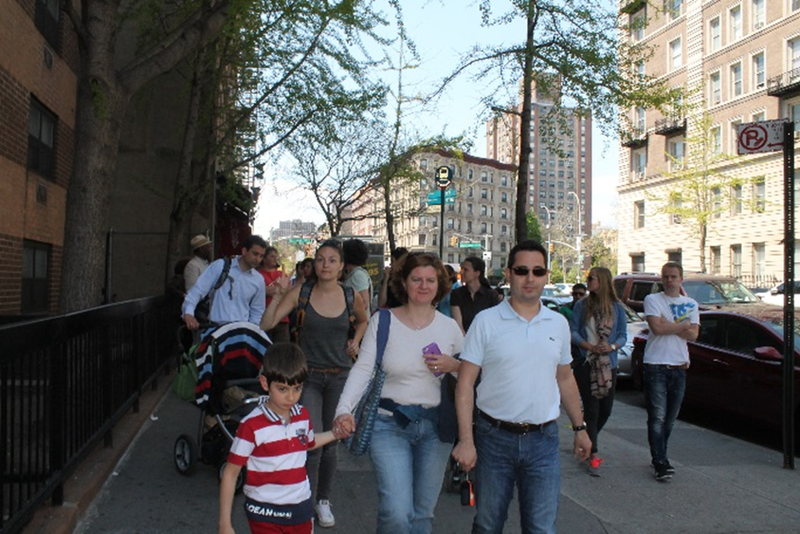 On a sunny day in early May, Visiting Fulbright Scholars and their families located in the greater New York City area trekked to a famous neighborhood in their host city. 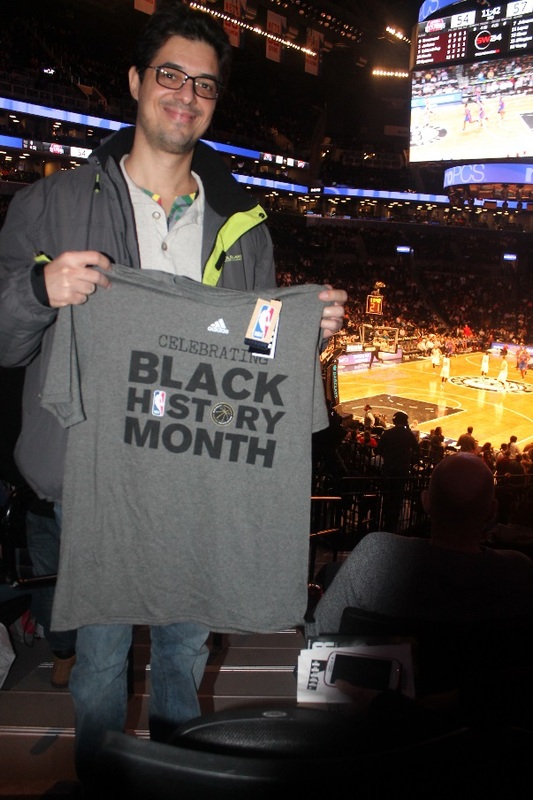 Although not publicly known for tourism, Harlem proved to be a rewarding and unique area to visit. 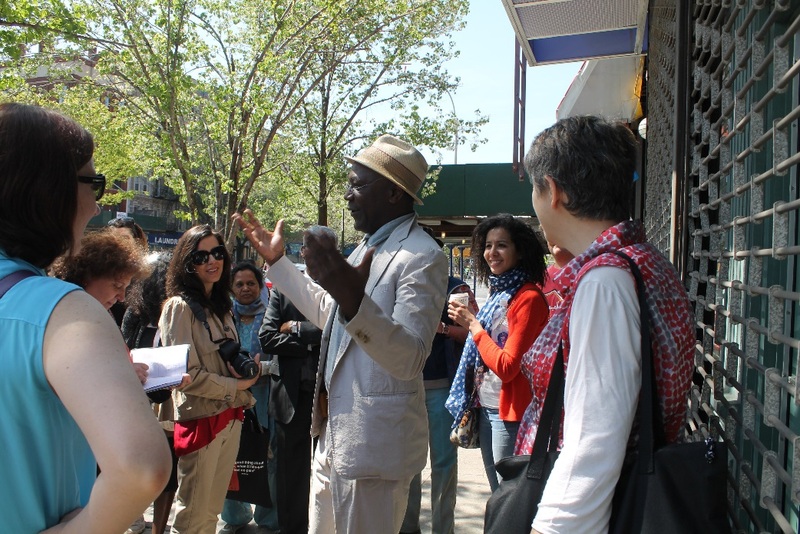 The group was guided by a specialist in African-American history through the vibrant streets of Harlem. 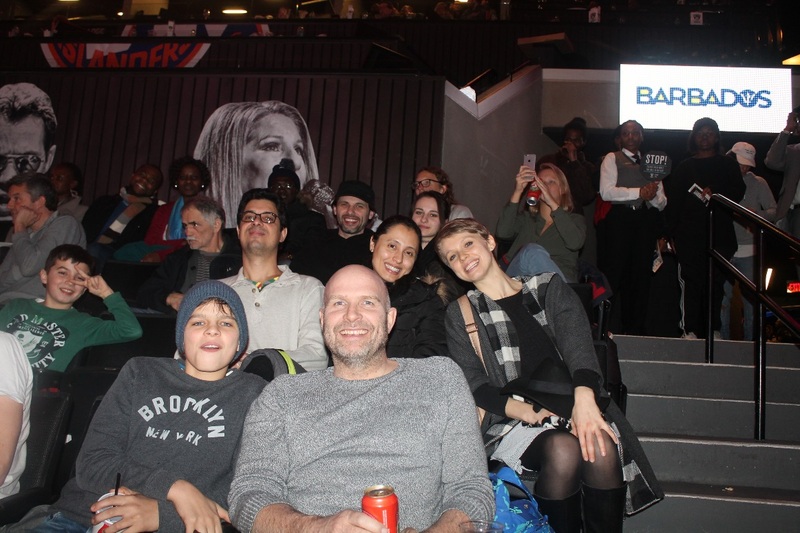 Beginning at the famous Apollo Theater, Fulbrighters learned about events such as the Great Migration and the Harlem Renaissance. Eventually the scholars landed at their midway destination, the First Corinthians Baptist Church, where they listened to beautiful Gospel hymns and listened in to a service on the need for justice in the black community. Reverend Lekisha related this necessity to the social unrest unraveling in Baltimore. 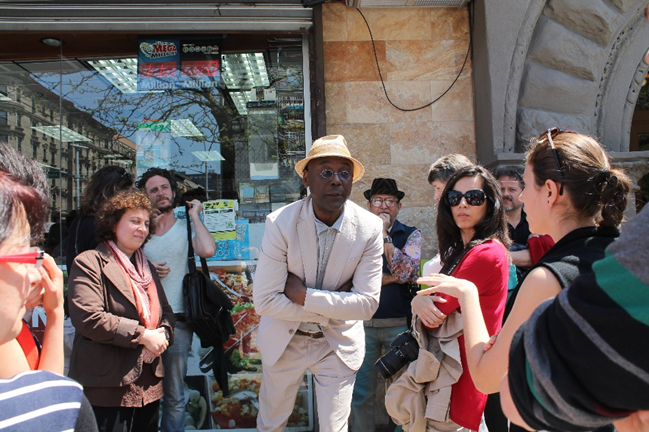 After the moving experience at the church, the group toured a part of Harlem known as “Little Africa,” named for the presence of West African immigrants. In this area, scholars passed the mosque Masjid Malcom Shabazz, where they seized the opportunity to discuss Malcom X’s philosophy of unifying Muslims from all cultural backgrounds. At the end of the outing, scholars were treated to discover American “soul food,” with delicious samplings such as fried chicken, candied yams, macaroni & cheese, and sweet tea. Overall, scholars were amazed at how safe and lively the streets of Harlem were, which is typically stereotyped as a poor and dangerous neighborhood of the city. 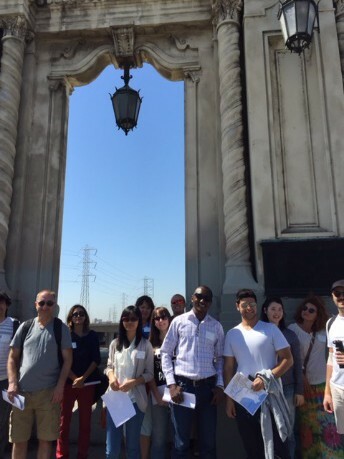 Los Angeles area Fulbright Visiting Scholars enjoyed a relaxing tour and picnic along the Los Angeles River where they learned about the river’s history and current restoration efforts. The Los Angeles River runs through downtown Los Angeles near several local landmarks and has been featured in a number of classic American films including Chinatown and Grease. Today, the river is undergoing a $1.2 billion restoration and revitalization project to make it an attractive and central part of the city. Scholars in the courtyard of the LA Music Center. 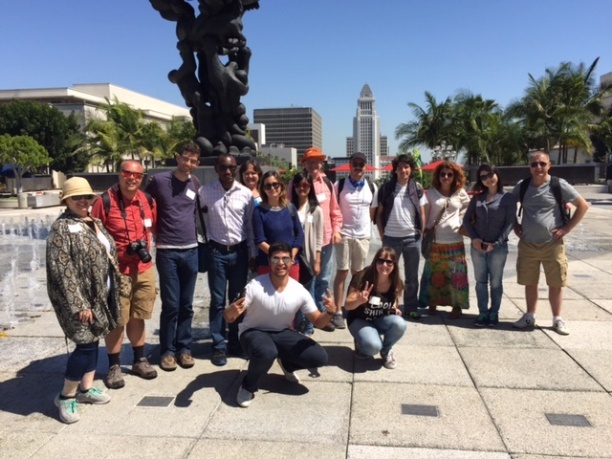 Throughout the river walk, scholars enjoyed a variety of sites including the Los Angeles Music Center, bridges with beautiful 1920’s style architectecture and a quiet rural park. 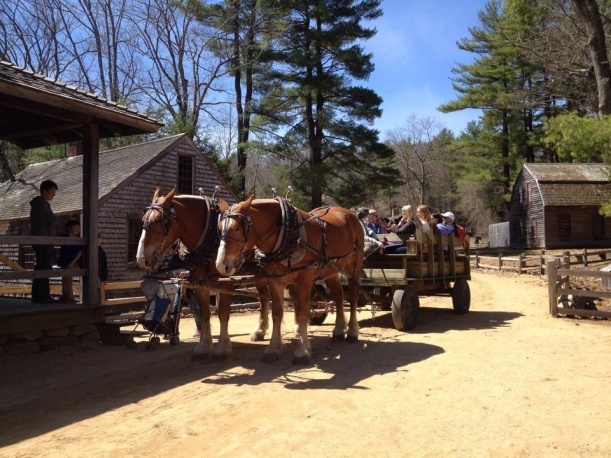 Enjoying their picnic lunch in a park, scholars remarked at the contrast between urban and rural areas they were able to see along the river. Scholars were able to witness how a community has come together to restore a little known part of Los Angeles. 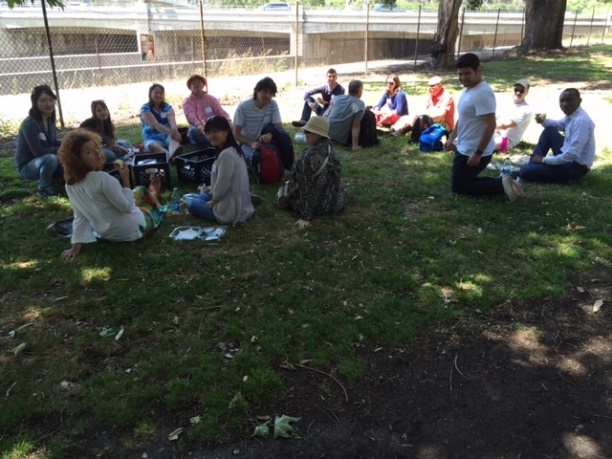 Scholars enjoy a picnic lunch in a riverside park.